Almost. But No. I made it all the way through the triangle blocks, but didn’t have enough to bind off. So now I know. This Athena is quite cozy at 20 inches around, yet still roomy enough, but since I have to buy the second ball of Taos anyway, why not make it more squooshy? So my next one will be at the size specified in the pattern. Wait, did I say next? Yes. It turns out this Athena isn’t for me after all. The colors are perfect for my friend D. And she’s having an Important Birthday. So off it goes. Please note the lovely daylight, outside, no rain. A respite! But I can’t knit another Athena right now. I promised myself that when I finished, I’d cast on for the Leyburn KAL on Ravelry. And so I shall. Tonight. 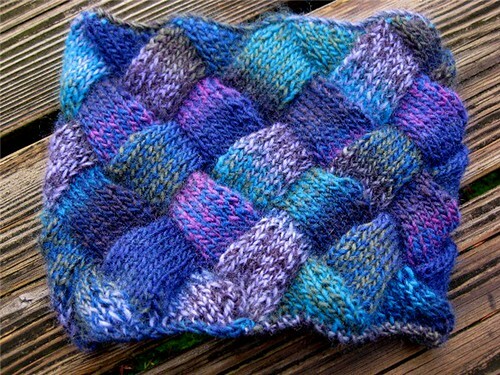 This entry was posted in Knit, ravelry and tagged Athena, cowl, entrelac, Knit, neck warmer. Bookmark the permalink. It’s lovely! I am so in love with the colors. Bummer on the one ball, but your Athena is beeeautiful! Enjoy. Pretty! Too bad it requires a bit more yarn. Have fun w/the Leyburns – I cast on yesterday & it’s so fast! 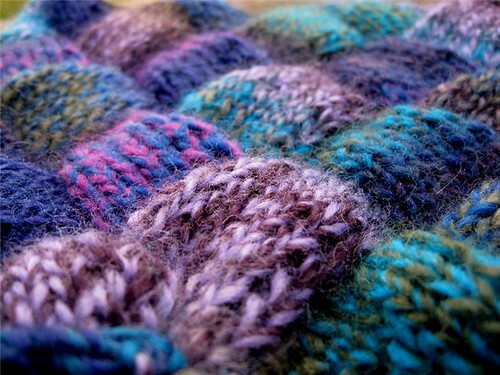 Entrelac, the one thing I’ve never done. But I love it and those colors are amazing! Too bad you ran out of yarn. I’m sure your friend will love it, it’s gorgeous! Yay for Leyburns! Can’t wait to see yours. Sorry to hear you manage it with one ball. I just hate it when I need to break out another ball to finish something, when all I need is just a few yards more.